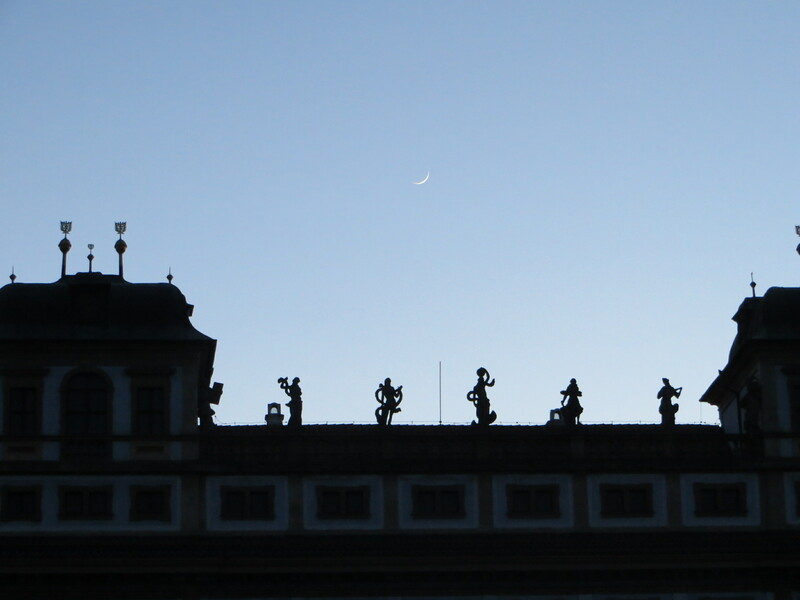 I have been dreaming of visiting Prague for a long, long time. 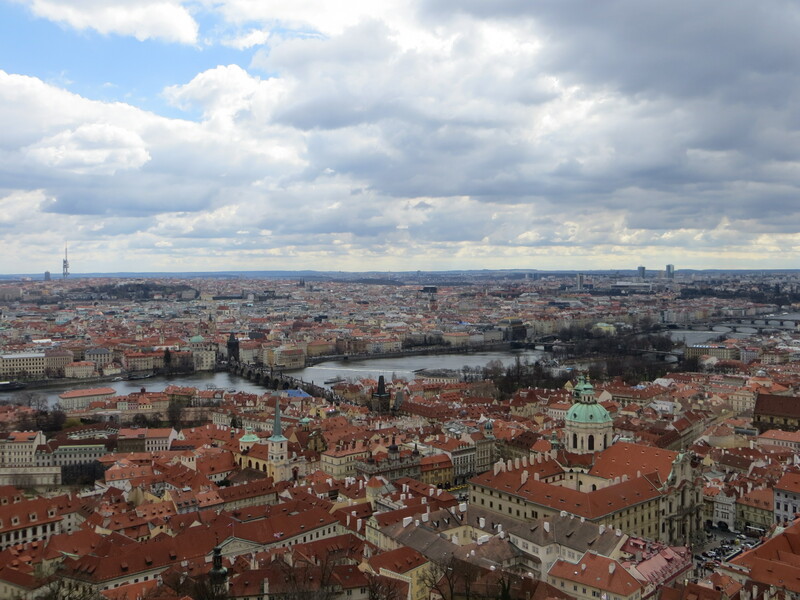 Prague is the city of a hundred spires. Plenty of opportunities for arial photos. The dramatic sky does not even need an Instagram filter. The Charles Bridge is one of the most crowded tourist attractions I have seen. Except early in the morning when the tourists are still sleeping off the previous night’s revelry. Dusk makes everything look mysterious. A study in negative space. 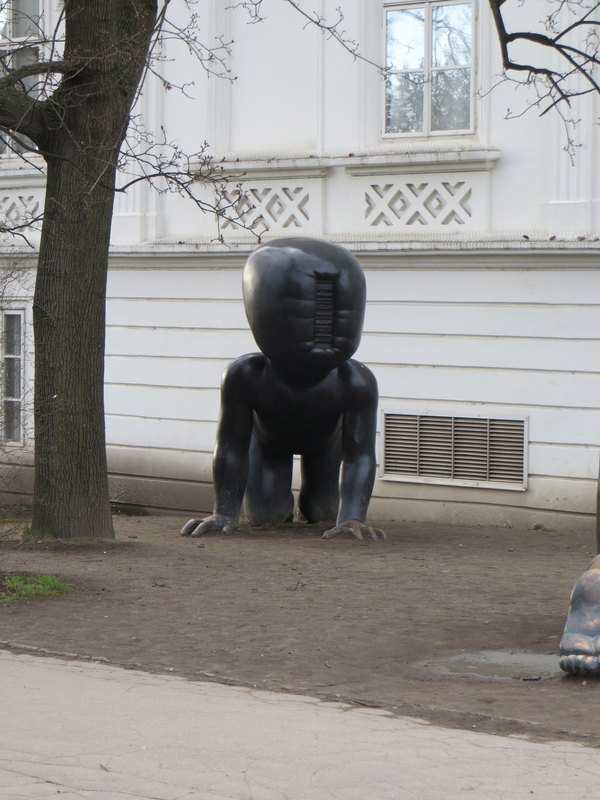 You see David Černý‘s creations all over Prague. They make you wonder what he was thinking. And then you realize–you do not really want to know. 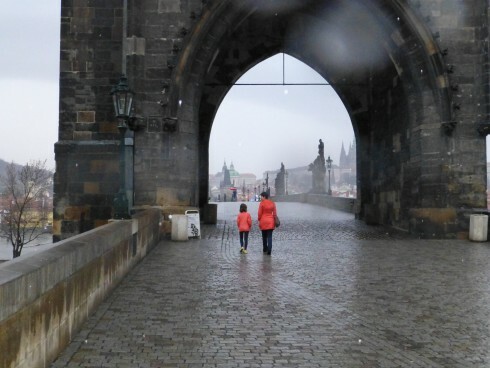 Have you seen this art for tourists, in which the city is all done in black and white, glistening with rain, and only a lonely figure or a couple dancing/kissing/walking hand in hand is bright red? Life imitating art. ← @Medium – The Next Big Thing in Content or a Snobbish Exercise in Self-Gratification? 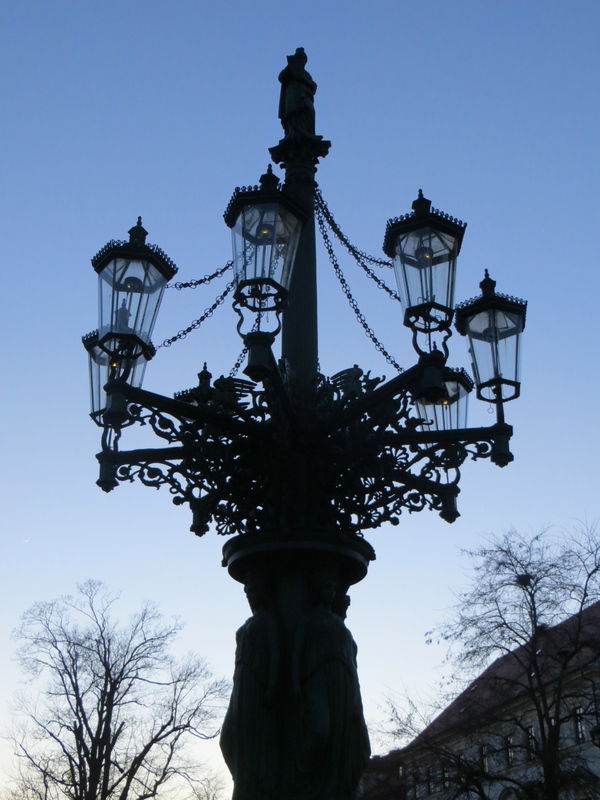 Prague is also high on my wishlist of places I would love to visit!! You got some beautiful photos of the city. I also try and get to touristy sights early while they are still relatively empty, I don’t like crowded spaces very much. 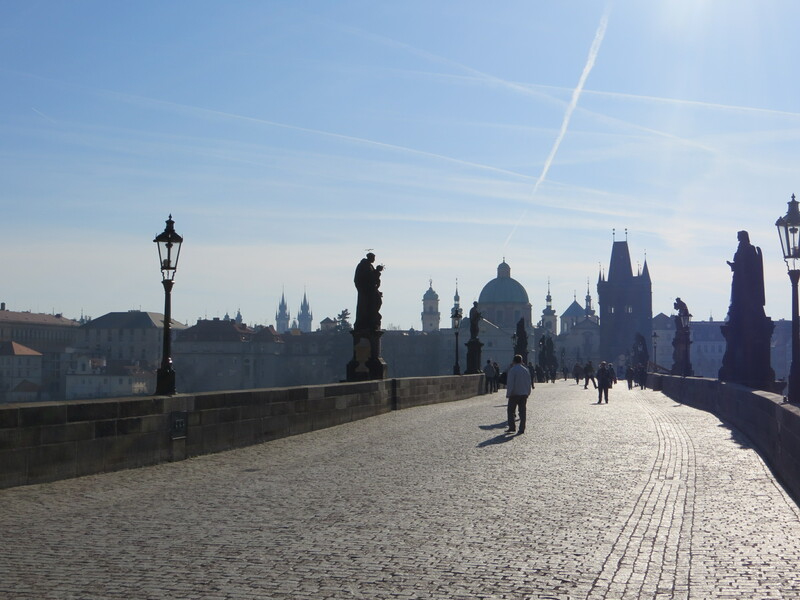 Lovely view of the city from Charles Bridge! Reblogged this on PANDYA.162 EDUCATION.